Water resources allocation determines who is able to use water resources, how, when and where. It directly affects the value (economic, ecological, socio-cultural) that individuals and society obtain from water resources. 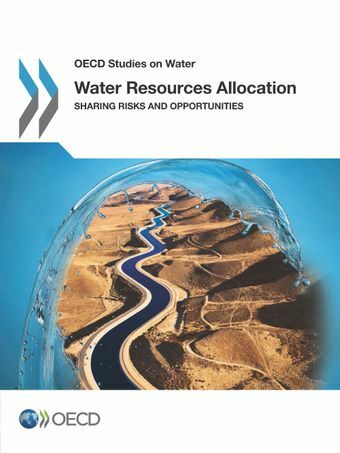 This report overviews how allocation works in a range of countries and how the performance of allocation arrangements can be improved to adjust to changing conditions.Capturing information from 27 OECD countries and key partner economies, the report presents key findings from the OECD Survey of Water Resources Allocation and case studies of successful allocation reform. It provides practical policy guidance for water allocation in the form of a "health check", which can be used to assess the performance of current arrangements and manage the transition to improved regimes. "Growing pressures are making existing inefficiencies in water allocation regimes increasingly costly: 19th century allocation arrangements are poorly equipped to serve a 21st century society and economy. Although reforming water allocation may appear daunting, an improved regime can greatly increase the value that individuals and society obtain from water resources today and in the future." Angel Gurría, OECD Secretary-General.